Nice bright colors and classic pattern that defines the tropical look. No collection is complete without this one! 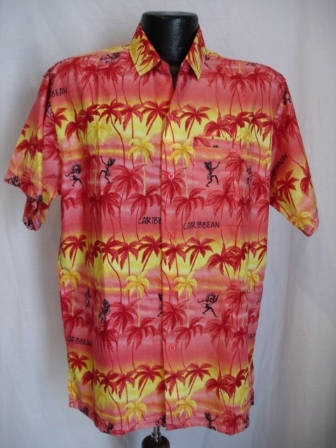 This particular version sports fun tropical sayings like "Caribbean Me Crazy" throughout the pattern.